This is a pack of fall journal entries for primary grades. 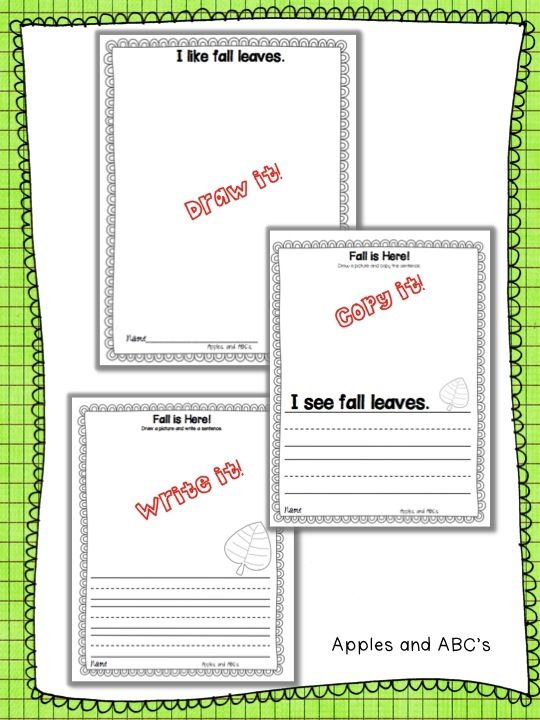 This fall writing pack includes journal prompts for back to school and the fall season. Each topic has three different styles of paper for you to differentiate among your students. 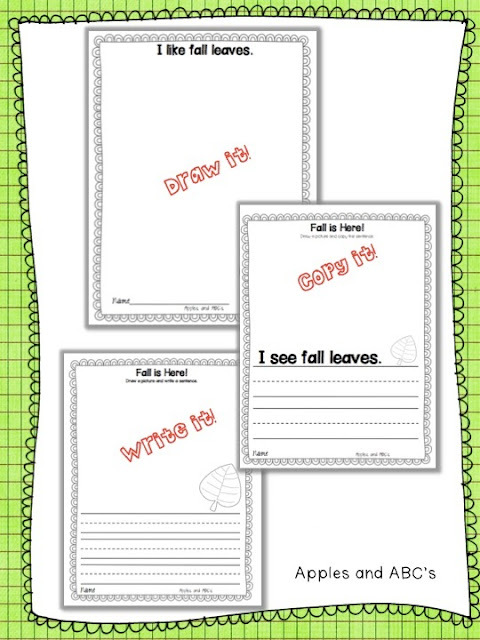 If you want to use this as fall journal entries for kindergarten then could use the "draw it" option, where the students draw a picture to illustrate their sentence. 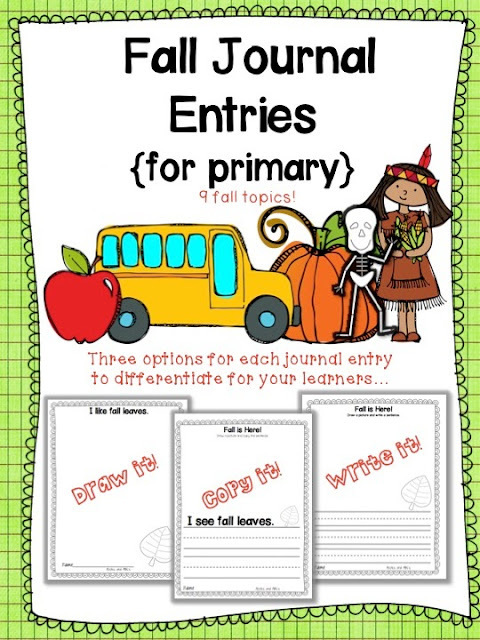 If you have advanced kinders, or you want to use this for fall journal entries for 1st grade you could use the "copy it" option, where the students copy the sentence provided, or they fill in the blank. The final option is for your advanced writers, and they are asked to draw a picture and write a sentence. Head to my TpT Store to see more details! Any of these would be great to keep as an end of the year journal or for a monthly bulletin board display! Love the draw it, copy it, write it! Perfect for the little ones!